Our friends at the Gladstone Hotel are accepting submissions for their annual alternative design exhibition, Come Up To My Room (CUTMR). But don’t sleep on this opportunity as the deadline for proposals is less than a week away! CUTMR provides a platform for experimentation outside the norms of art and design, and challenges participants to push their everyday practice by offering a blank canvas upon which to explore new themes and ways of working. Oh, and did we mention this black canvas is actually the backdrop of the historic 126-year-old Gladstone Hotel? The theme for CUTMR 2017 is “Transplant”, which acknowledges that our relationship with the world and those around us is constantly evolving as ideas, knowledge, and culture are transferred from one place to another. Participants will have the opportunity to transform the hotel through creative installations and public space projects that build on this overarching theme. Dreaming up a big idea? Click here to learn how to submit your proposal before the deadline on Wednesday, June 15. CUTMR 2017 is curated by Jana Macalik and Christophe Jivraj, and will take place between January 19 and January 22, 2017 as part of the Toronto Design Offsite Festival 2017. 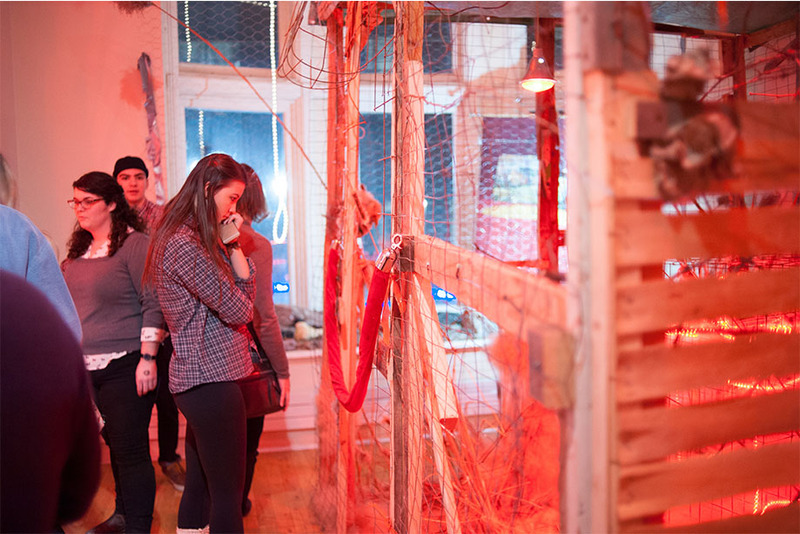 The project was founded in 2004 by Christina Zeidler and Pamila Matharu, it is produced by the Gladstone Hotel and lead by Chris Mitchell, Noa Bronstein, Britt Welter-Nolan and Lukus Toane.